Over the years I’ve done many commissioned house portraits and others as presents for friends and family. I really enjoy doing this work. As an architect, I’m well suited to painting buildings and the scale of a single family home is inviting, since most of the architecture work I do is for multi-family residential buildings. I also really enjoy the opportunity to create a special depiction of a treasured home. 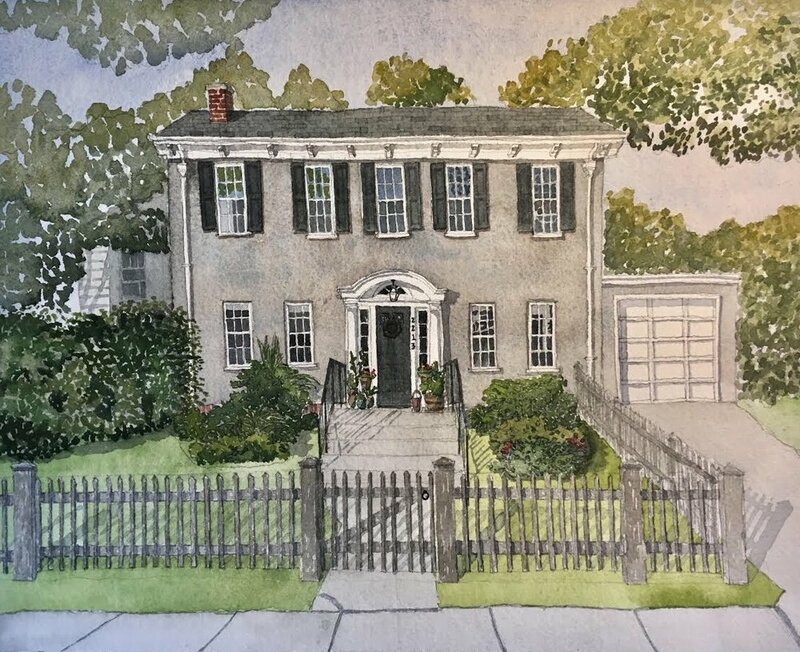 I think seeing an artists rendering of your own home can make it even more special or it can allow someone to see their hone in a whole new light. I find that nearly every home has some element that really charms me, even if I’ve never seen the home in real life. In making this recent 11”x14” commissioned painting, of a home in Evanston, I found myself particularly charmed by the fence and the collection of plants on the front porch. It made it fun to create this painting! I’ve recently added a miniature portrait listing to my Etsy site because I really want to be able to offer custom paintings for virtually every budget. Email me at janesloss@gmail.com, if there is a custom painting I can create for you. © 2018 Jane Sloss. All rights reserved.